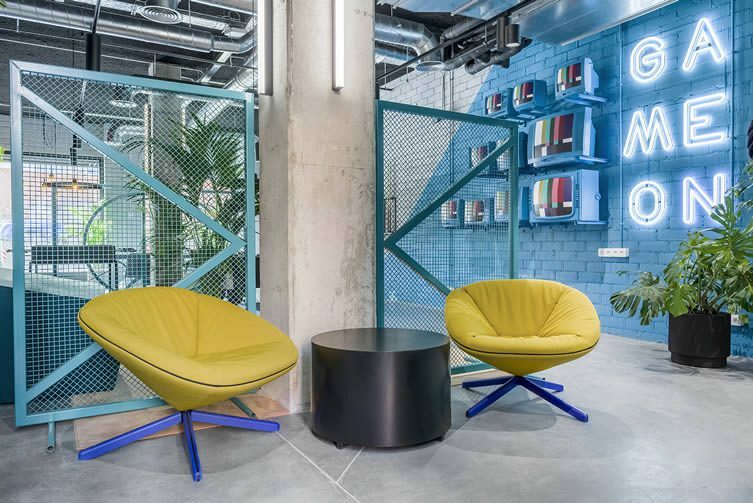 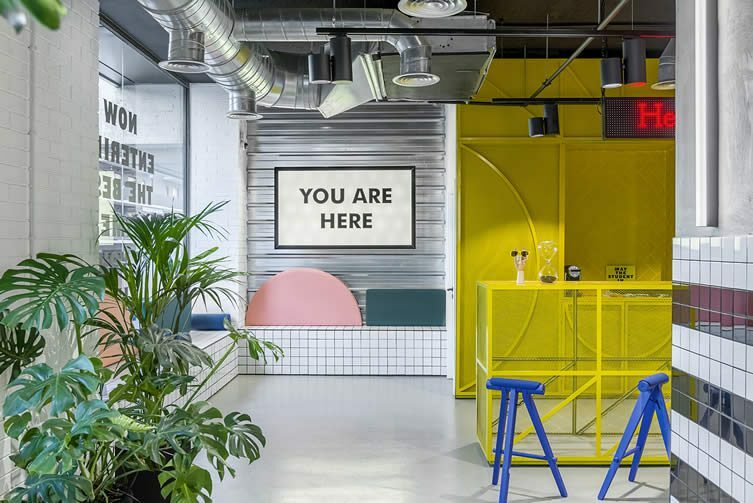 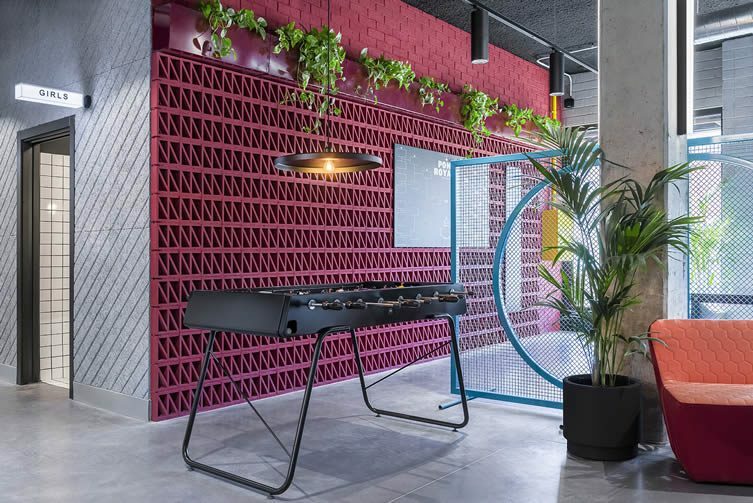 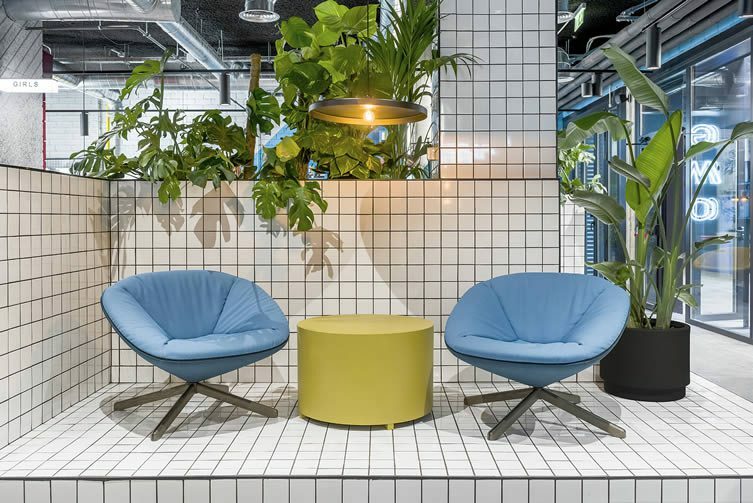 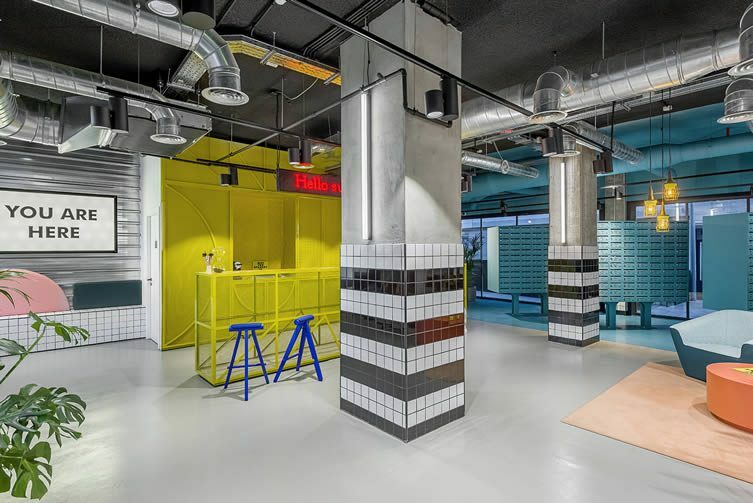 Digs with a difference, The Student Hotel Barcelona Campus is a 21st century coliving/coworking hybrid that provides studious minds with exclusive design-led accommodation options. 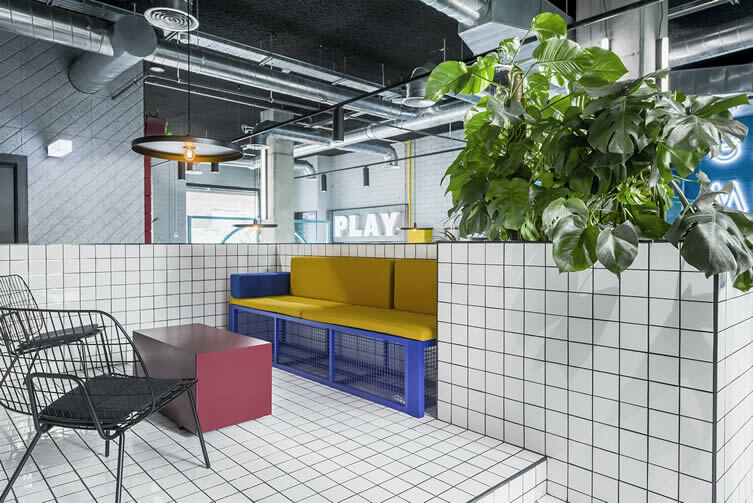 Along with plenty of the extra-curricular activities you might expect to partake in during this memorable time in your life. 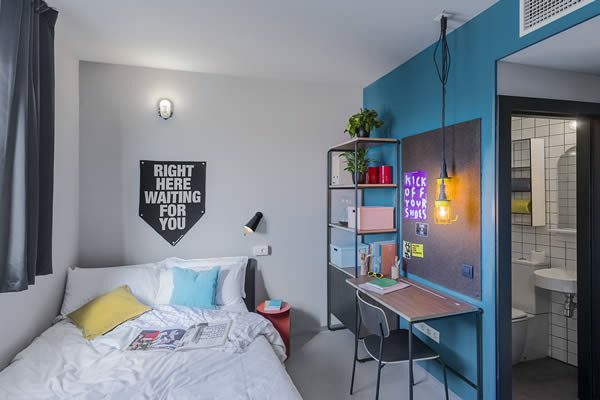 With several properties already to their name—in cities that include Rotterdam, Amsterdam (City and West), Paris, Florence, and Eindhoven—The Student Hotel have recently added Barcelona to their portfolio; this time taking the form of the student-only (previous projects serve as hip hostels to non-students too) TSH Campus, launching into the two very different neighbourhoods of Marina and Poble Sec. 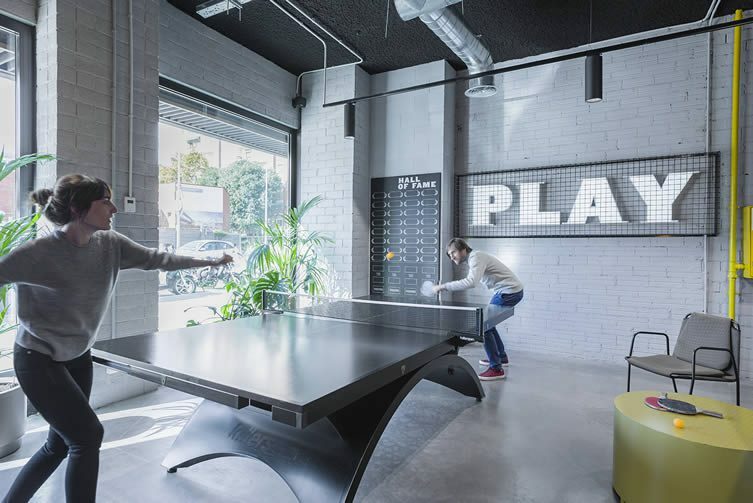 Valencia-based creative consultancy Masquespacio recently completed work on both Barcelona campuses, and have given us an insight into their Marina location; a campus that boats some 500 rooms; rooftop swimming pool; and public spaces to play games, work, or socialise over food and a drink. 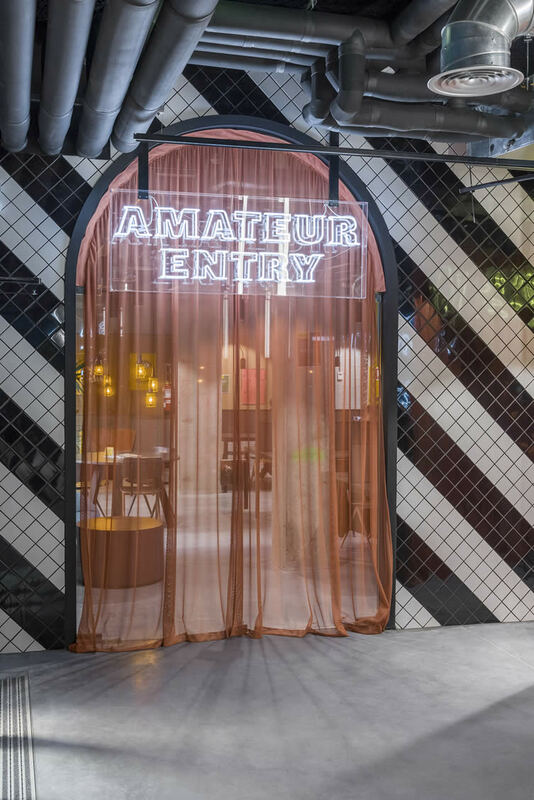 Using the brand’s image as a reference point—and injecting it with Mediterranean flare—the campus, set over a whopping 21,000 m2 space, is filled with texture, colour, and materials that create an eclectic habitat reflective of the fast-growing international community that choose these hybrid destinations to consume student life to the fullest. 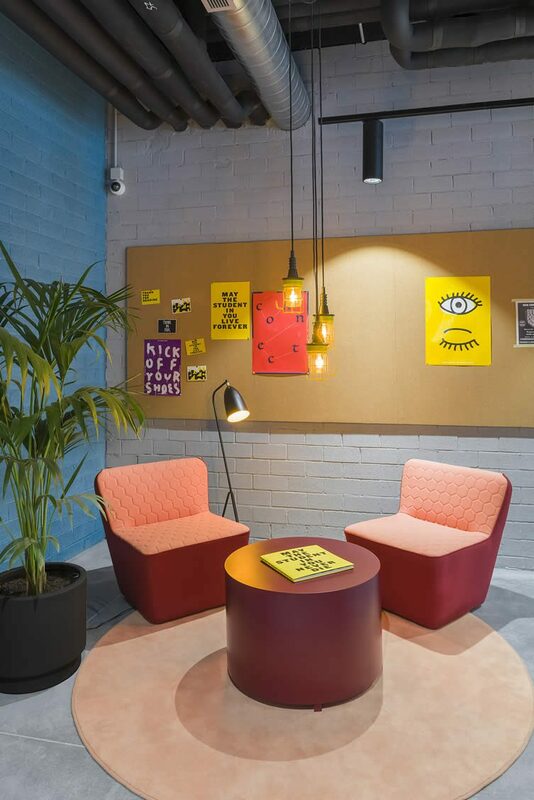 Masquespacio have set the tone firmly at ‘fun’ here, coalescing vintage pieces with an industrial aesthetic and bold graphical decor. 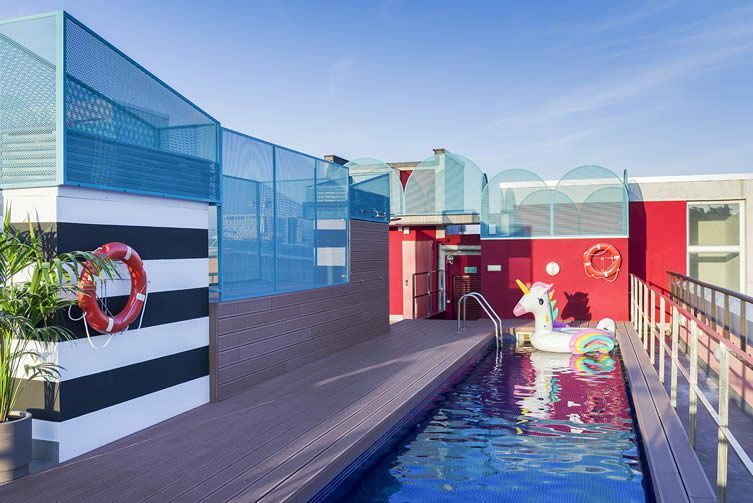 “It should be noted how the use of colour not only influences ones mood,” creative director Ana Hernández tells us, “it can also be used to create a bold design statement in the environment.” Combine that with neon slogans, a central location, and views to the beach from the rooftop pool, and a whole host of design-hungry travellers will be enrolling on courses just to qualify.